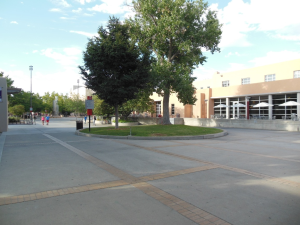 "Union Mall, University of New Mexico, Albuquerque, NM, September 15, 2015" by Sophie Ell is licensed under CC BY. N.d. Student Union Building. http://sub.unm.edu/, accessed September 9, 2015.